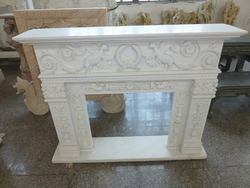 Manufacturer & Exporter of Stone Fire Place. Our product range also comprises of Marble Inlay Tiles And Borders, Temple Architect and Stone Bird Bath. 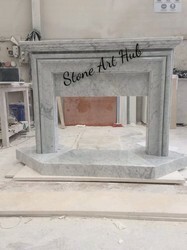 We are the known brand as " Stone Art Hub" we are the leading manufacturer of Stone Fire Place, it's generally used in Bedroom, living room ect. Please go below for more details regarding Stone Fire Place. We are a leading manufacturer and supplier of Stone Fire Place.